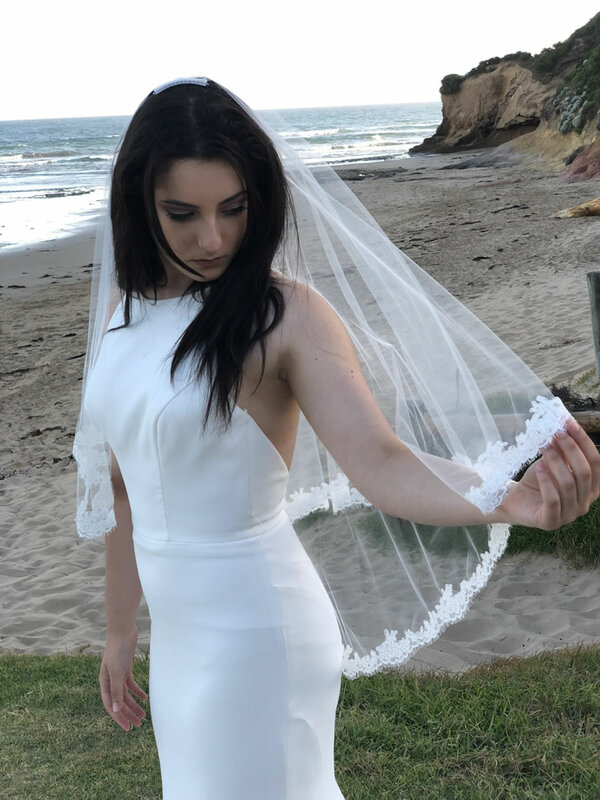 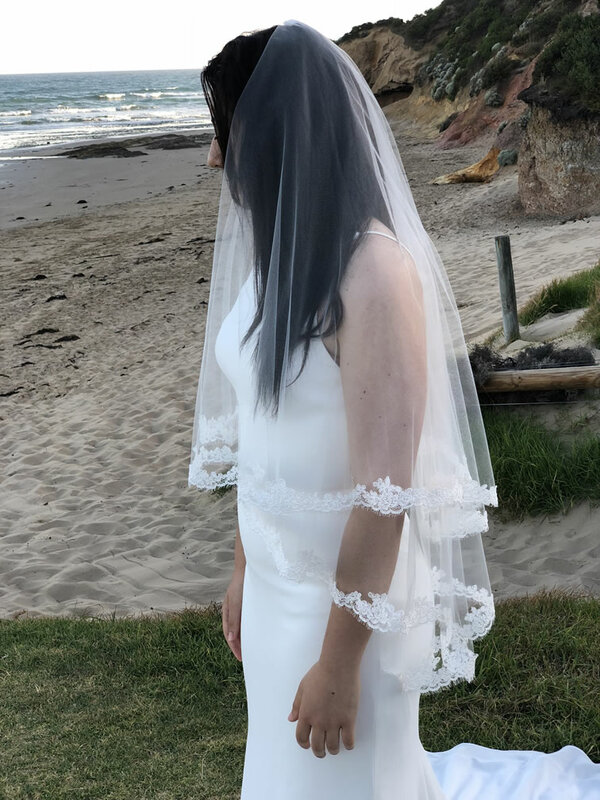 So delicate and lovely, our Jessica mantilla veil will delight you! 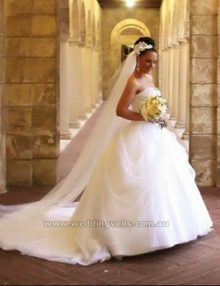 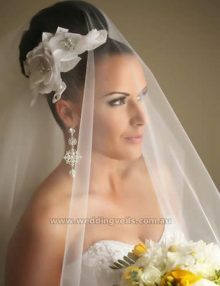 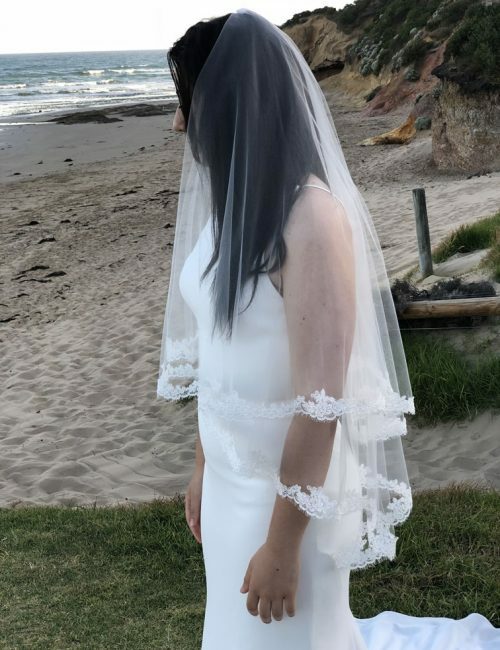 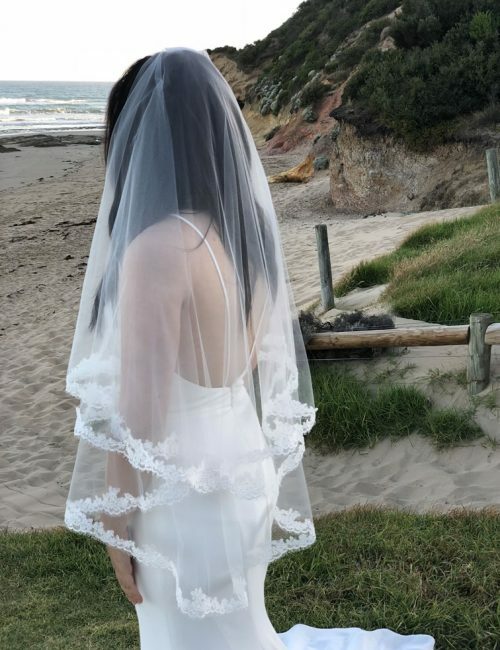 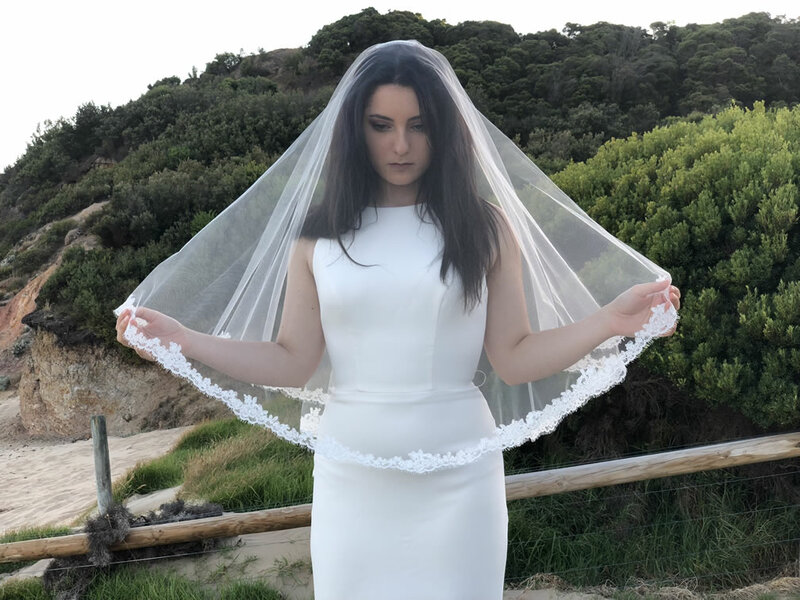 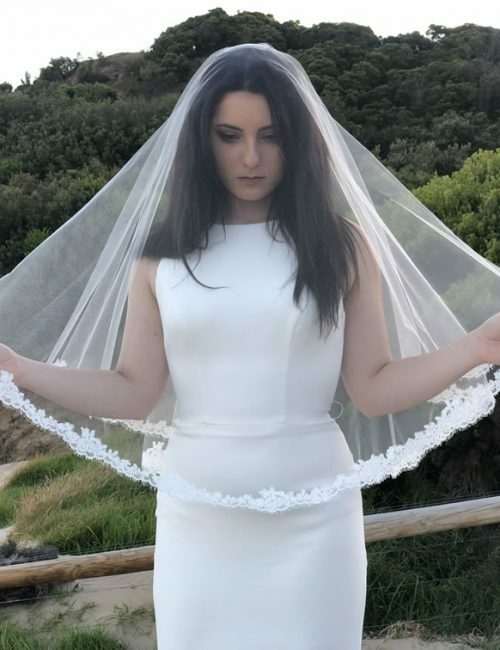 This veil is a lovely choice with lace wedding dresses as well as princess style dresses. 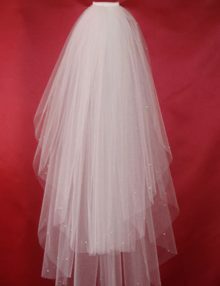 Because it is so sheer, it won’t interfere with all the pretty details on your dress. 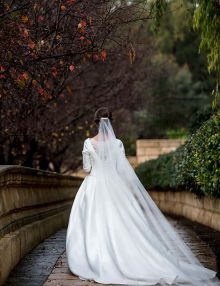 Just divine! This sheer veil has very subtle gathers at the comb and a soft and delicate lace edging.